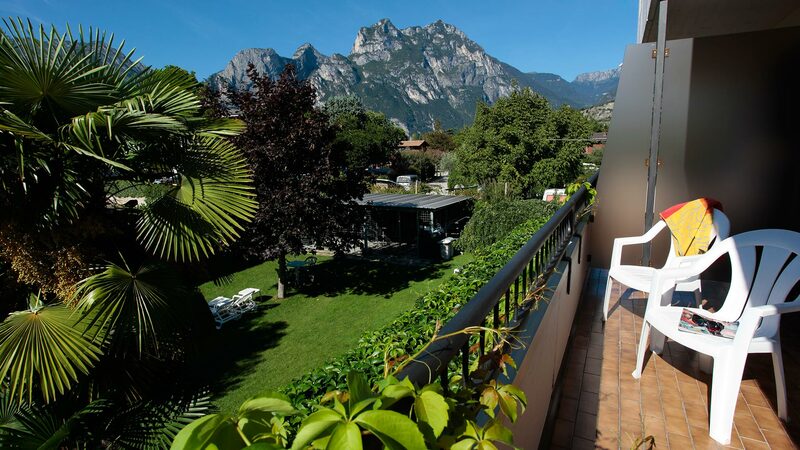 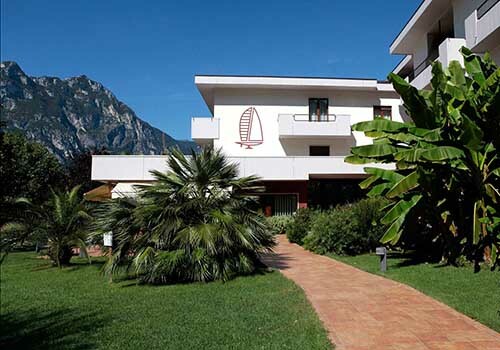 The Pirondini-Lui family has been welcoming its guests at the Hotel Villa Claudia in Torbole sul Garda since 1961, when it was called “Pensione Claudia”. 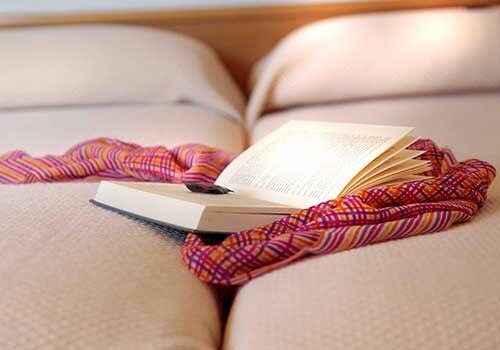 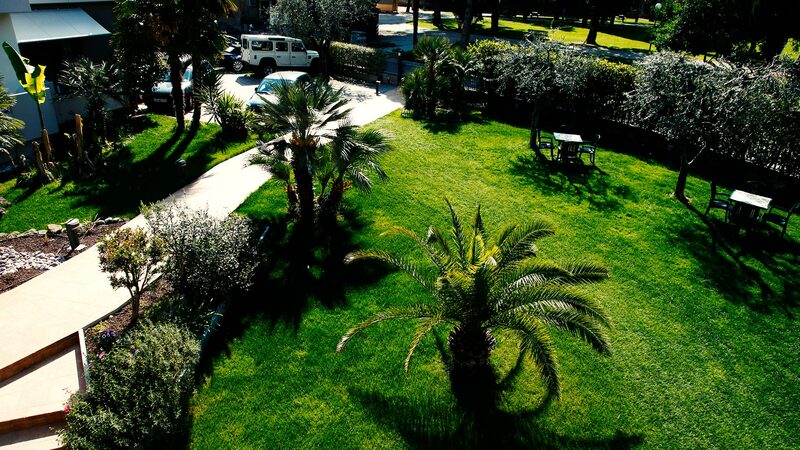 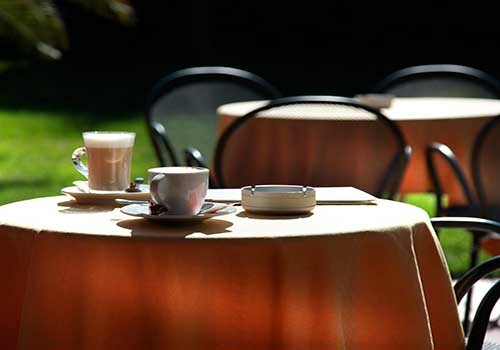 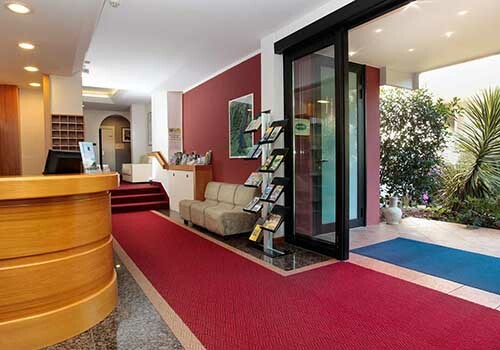 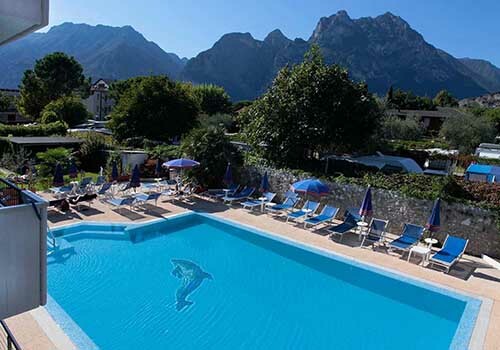 The Villa Claudia is today a comfortable 3 stars hotel located in a peaceful and sunny position about 50 m. from the Garda Lake shores and surf schools and 150 m. from the centre of the village, where you can find shops, restaurants, pubs, bike rental and guides, and also the boat pier. 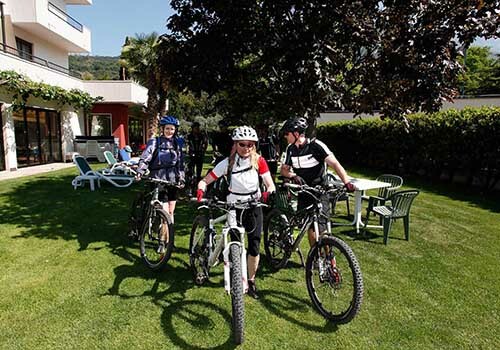 On the outskirts you can easily reach equipped paths as well as trekking and mountain bike trails. 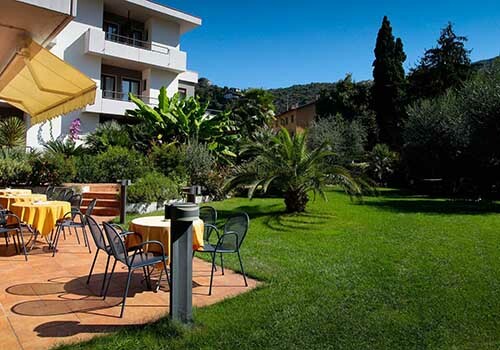 The hotel has 29 rooms, all en-suite and with air-conditioning, lift, outdoor swimming pool, ample and green garden equipped with sun beds, well-stocked bar, free Wi-Fi and table-tennis. 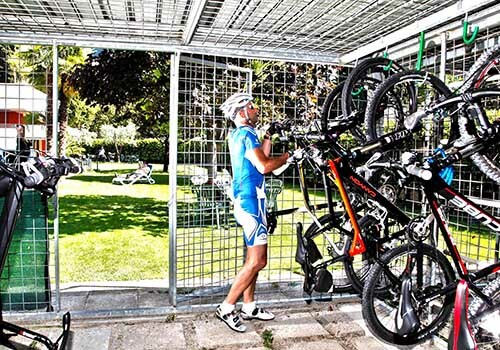 In addition, the hotel has monitored private car park and surfboard/mountain-bike depot. 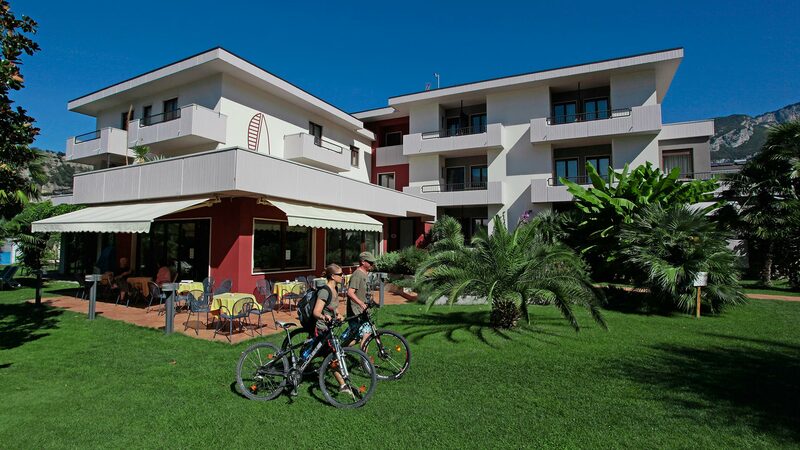 Our pride, as it is very appreciated by the guests, is the rich breakfast buffet, where you can find all you need to start at best your holidays. 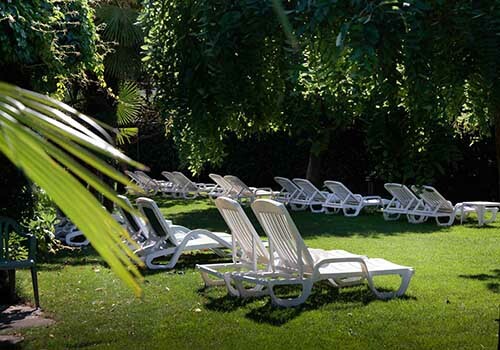 You can relax in the garden, reading a book in the shade of thriving plants, sip our excellent cocktails, or simply sunbathe and then cool down in the pool. 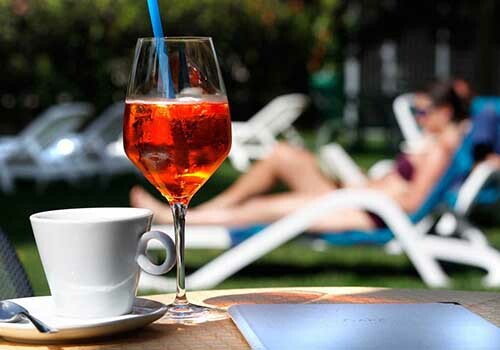 We look forward to welcoming you for your relax and sports holidays.